For local business owners, there probably isn’t any marketing subject that is more confusing and misunderstood than search engine optimization. In fact, there is so much confusion about this subject that there are many less-than-reputable companies and even outright scammers that are taking advantage of the confusion to sell “SEO services” to local businesses that are either completely ineffective or that actually do more harm than good. 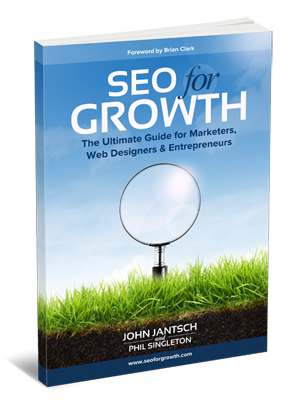 Luckily, a new book by Phil Singleton and John Jantsch called SEO for Growth goes a long way towards busting many of the myths about SEO and clearing up the confusion. Written in language that even non-technical local business owners can understand, the book covers everything from how to design a website with SEO in mind to good link-building strategies. In cases where a term is used that some people might not be familiar with, such as anchor text, readers can reference an online SEO glossary on the book’s website. What are some of the biggest myths about SEO among local business owners? What criteria should local business owners use when selecting and SEO professional to work with if they choose to outsource this task? What’s the big deal about setting up a Google My Business page, and why should local business owners care about it? What are some of the scams related to SEO that local business owners should watch out for? Use the player below to listen to my interview with Phil to hear his answers to these questions.